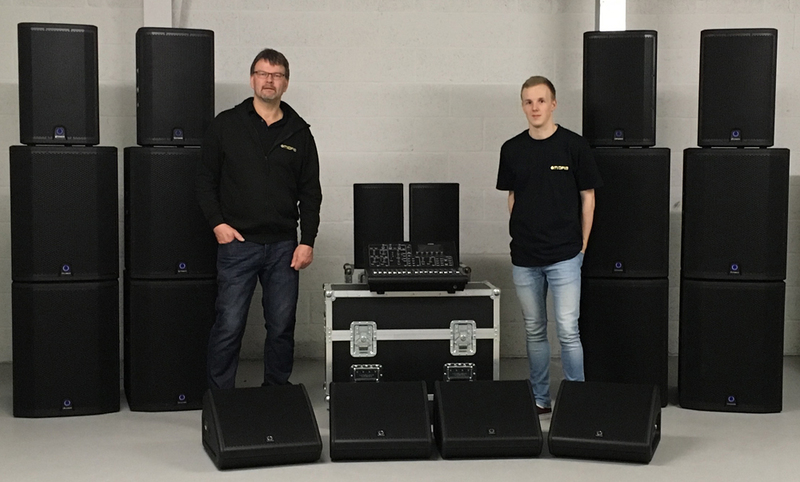 Bandshop Sound & Light in Tonbridge have recently taken delivery of several Turbosound speaker systems and a Midas M32R digital mixing console from Music Group distributors, Electrovision Ltd. 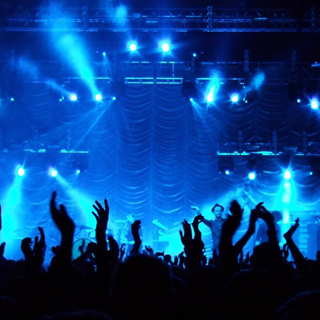 The Turbosound speaker systems chosen by Bandshop Sound & Light are the Siena series, including eight 18″ active subwoofers and four 12″ active tops; the Nu-Q series including two 8″ active tops and the Flashline monitor series including four TFX122M wedges. 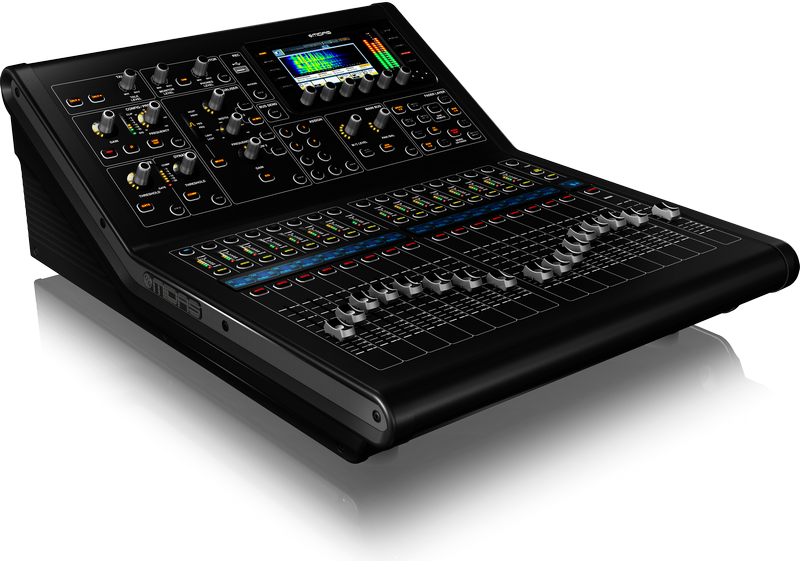 A Midas M32R mixing console was also added to the Bandshop Sound & Light inventory. Bandshop Sound & Light’s Gordon Bond & Matt Saxby with the new hire inventory. 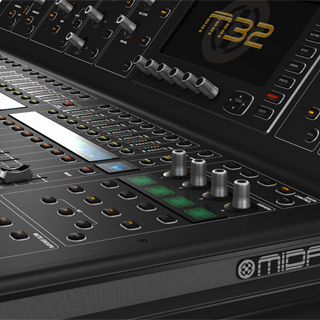 As Bandshop Sound & Light already use Midas M32 mixing consoles in their inventory, it made sense to add the M32R when they needed a smaller format console. 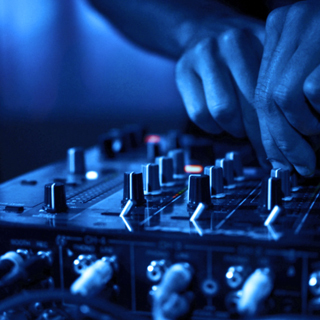 “We have a number of corporate clients where we need the functionality of the M32, but in a smaller footprint. 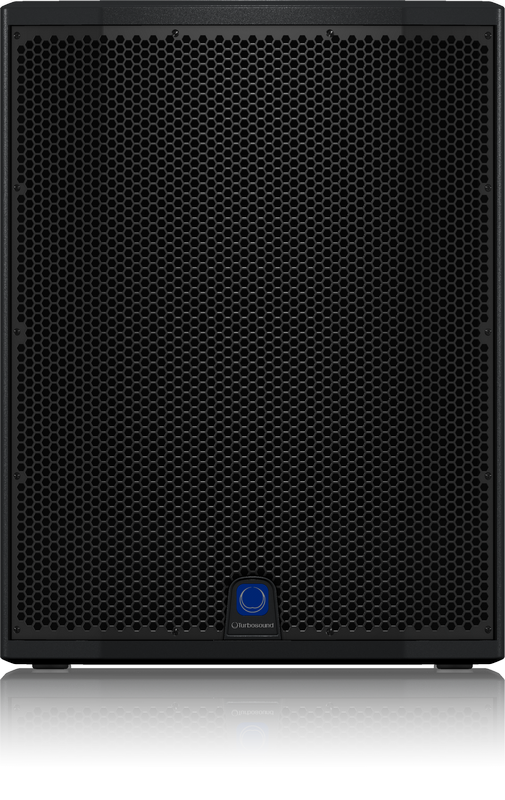 We will also use the M32R for monitor duties at larger events”.